Today marks the completion of my son’s first month of life. Over more than a year, every family member has contributed a lot for the birth of my son, while I had no time to take care of him because of the work outside. Especially, on such a special day today, I’d like to express my gratitude to my beloved wife: Luo Fang, an ordinary nurse attending the ICU of Guangdong Provincial Hospital of Traditional Chinese Medicine! 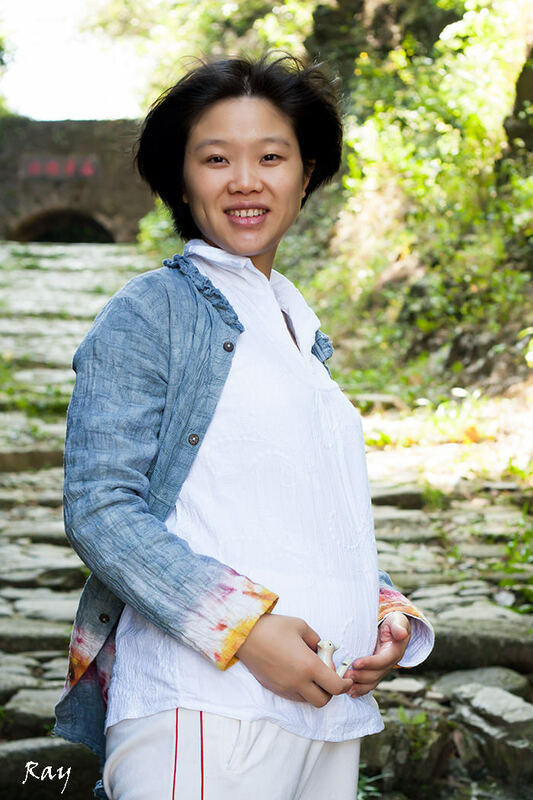 As a photographer, I’ve never photographed for my wife at her pregnancy, thus here I present one of her photos shot in Nanxiong, the northeast of Guangdong. At last, may all mothers happy and healthy forever!